I can do adoptions, where are you at? But, I wish you the best. Checking posts from my vacation - and here I find this. I guess I did miss something! Hope you are doing okay today with the worms! Here ya go Bruce, just what the Dr. ordered . 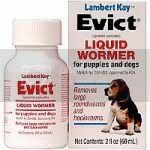 Giot rid of those woirms. At a xmas gift exchange, my BIL got a box of stuff to get rid of your Lice, if you happen to come down with that, too. Inside, outside... gotta take care of yourself, Bruce!!! Live Ducks brings you Full of facts and interesting tidbits about ducks. A girl duck, or hen makes a loud QUACK sound while the boy duck, or drake has a raspy, muffled call. Touching a duckling doesn't prevent the mother duck from taking care of it. It is however best to leave ducklings alone so as not to scare the Mom duck away or accidentally injure them. Duck eggshells have tiny holes (pores) that allow it to breathe. A hen's eggs can have 7500 pores, most found at the blunt end of the egg. Respiratory gasses as well as water vapor travel through these pores allowing the egg to breathe. For more information on egg anatomy and facts visit The Provincial Museum of Alberta website. Ducks can live 20 or more years with good care and feeding. The world's record is held by a Mallard Drake that lived 27 years. Quacktastic! The first Pekins were imported to the United States around 1873. Ducks have very good vision, and they see in color. Did you know that a duck's quack doesn't echo? Nobody knows why. Today, when I walked the dog, I saw a worm on the sidewalk. Where's Jill? We need you!